Need switch off all communications and fully enjoy all the splendour nature has to offer and the inspiring landscapes around you? Visit the 5 Best Places to Cyber Detox in Latin America and come back renewed. 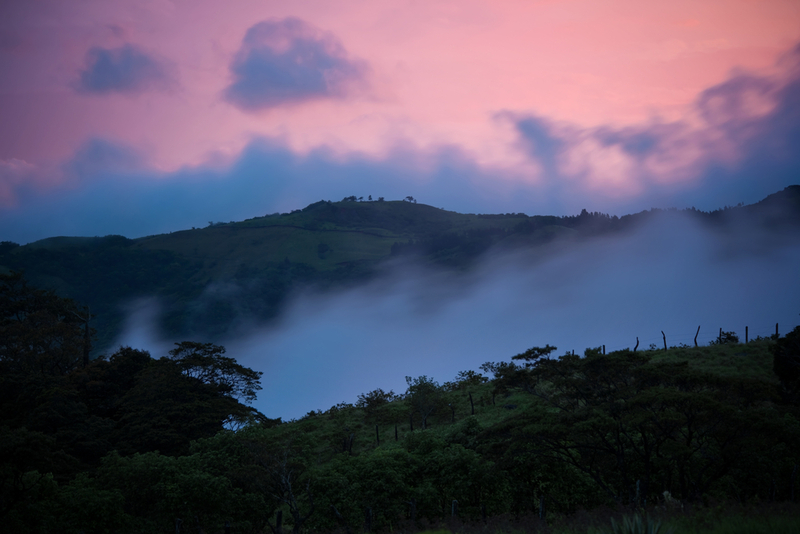 Sunset in Monteverde, Costa Rica. Photo credit: Shutterstock. Imagine this; a sparkling lake of water surrounded by palm trees blowing in the wind. 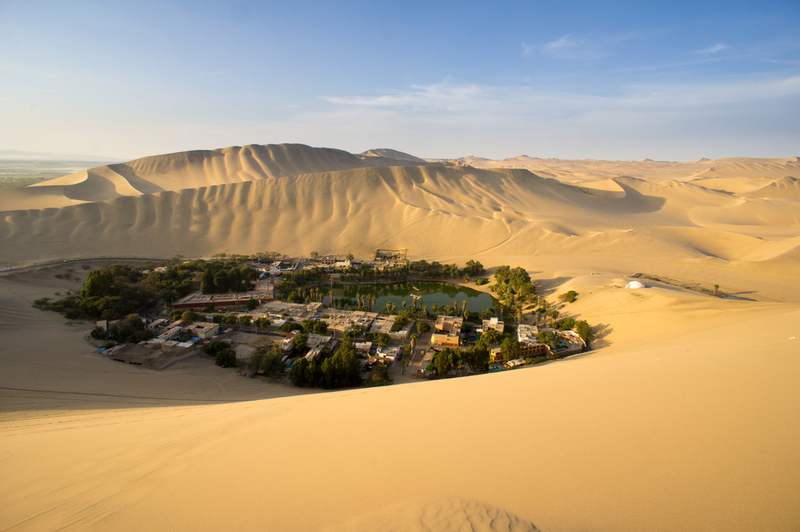 You look left and right, but all you see is endless glowing, golden sand… welcome to Huacachina in Peru. This stunning desert oasis is located a mere 4km south of Ica, however with its serene waters, and rolling sand dune backdrop, it feels a million miles away from city life. This destination is a must see stop on any backpackers tour of Latin America. It’s a place where weary travellers can switch off all communications to experience a complete Cyber Detox, and venture out into the dunes to reconnect with themselves. With sand boarding, dune biggie rides, endless quiet strolls, and the most beautiful desert sunsets you’ve seen in your life, you definitely won’t be reaching for your computer any time soon. Bacalar in Mexico. Photo credit: Shutterstock. 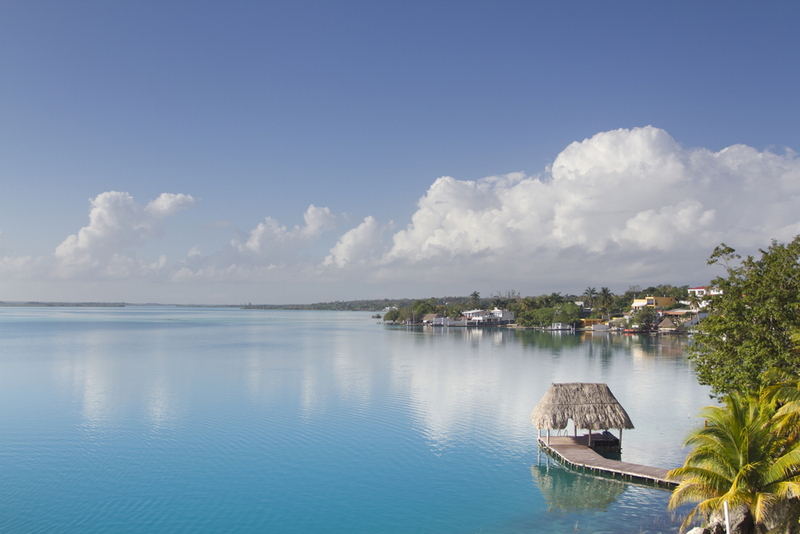 When you imagine paradise, with crystal clear waters, palm trees, the warm sun on your back, and the sound of waves lapping against the shore, you are thinking of Bacalar in Mexico. Famous for it’s seven coloured lagoon, rustic cabins, camping on the sand and legendary jungle surroundings, this is one spot you can truly relax. You won’t find any tourist complexes here, and most restaurants or hotels don’t even have wifi, so all you have to concentrate on is breathing in the fresh ocean air, and enjoying the laid back, Caribbean way of life. If you really want to get back to nature, daily excursions are offered by the locals into the surrounding mangrove swamps, and out onto the lake, where you will see all manner of flower, bird and marine species. El Bolson in Argentina. Photo credit: Shutterstock. 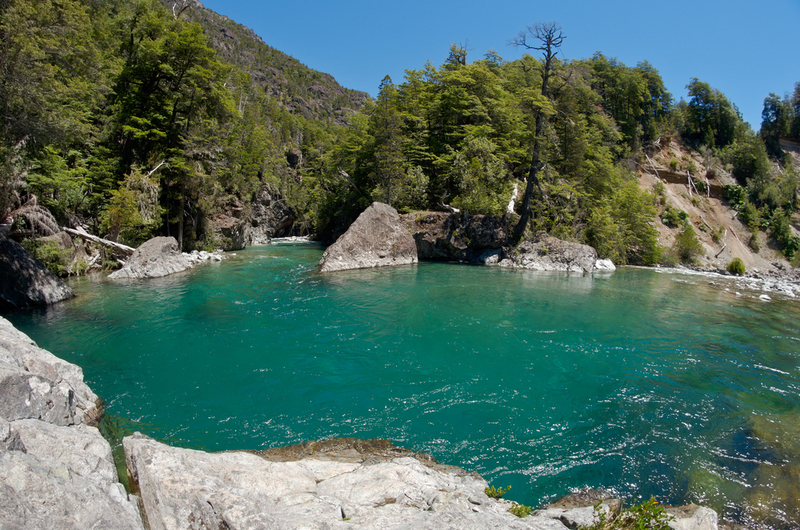 Nature lovers usually flock to Bariloche in the summer, which is a beautiful part of Patagonia’s Lake District, however we know another little place nestled in a valley, only for hours away, that will blow it out of the water. El Bolsón is an outdoor lovers dream. With hiking, biking, rafting, swimming or horseback riding on offer, you wont have a second to spare on that pesky technology. El Bolson is truly a place to kick back and enjoy all the splendour nature has to offer. Unwinding in this green oasis is easy with their locally brewed beer, made from all organic ingredients, their artisanal spa treatments, and their unspoilt views. One thing you must do when visiting this spot is to explore the open-air museum, featuring truly unique sculptures, all made from the remains of old trees. Leave the sun worshiping crowds of Cartagena behind, and escape to the picturesque, secluded paradise that is Cabo de la Vela in Colombia. This sleepy little fishing village is located on the La Guajira peninsula of Colombia, and although it requires a lot of effort to reach (2 hour, bumpy dirt-road ride from the main highway) it’s well worth it. 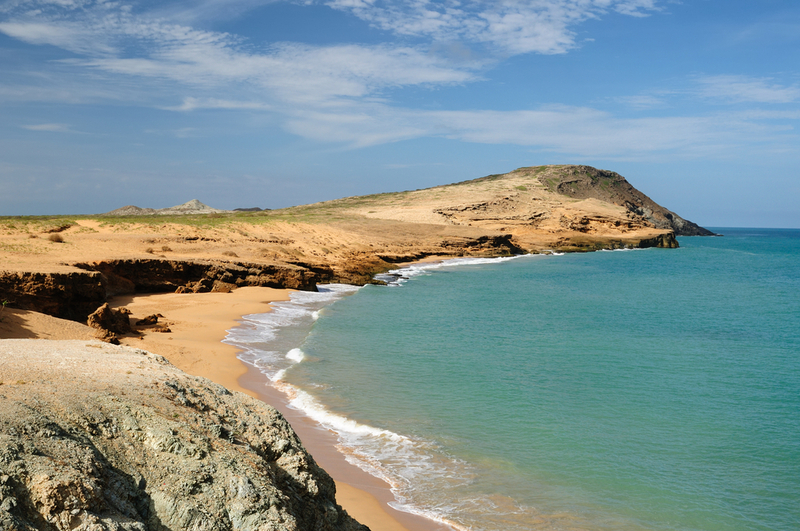 Cabo de La Vela is the perfect spot for a romantic getaway, or to simply escape from the hustle and bustle of every day life. The locals have a very simple and laid back lifestyle, revelling in the little joys each day brings. So while you’re here, make sure to take a leaf out of their book; relax on the unspoilt, serene beaches, chow down on freshly caught lobster, get into the local sport of kite surfing, do your Cyber Detox here and kiss your stress goodbye. Enter another world in Monteverde’s world famous Cloud Forest. This stunning natural wonder will leave you awestruck and humbled to the highest degree. With it’s rich biodiversity, fun outdoor adventures, such as hiking, zip-lining and horseback riding, and it’s fascinating canopy tours, Monteverde will take your breath away. Spend a day getting lost on some of the many trails, broaden your mind on a tour of the local coffee or sugar plantations, and see if you can spot one of the most stunning birds in the world, the Quetzal. 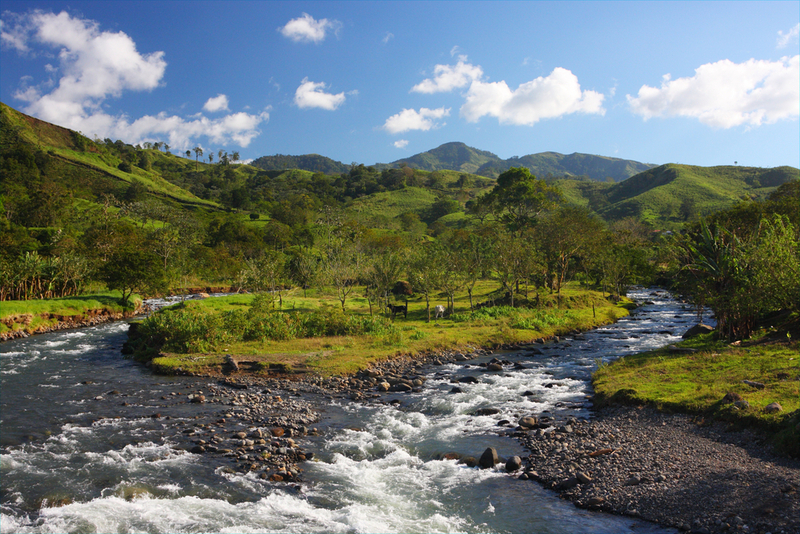 If all this wondrous nature isn’t enough for you, you can always head into the pretty little town of Monteverde itself to do a spot of shopping, or simply relax and enjoy some of delicious local cuisine. Would you like to have your own Cyber Detox in South America? Chimu Adventures is there to help you organise your trip to the best unspoiled destinations in South America! After all this is what we at Chimu Adventures do best. Click here for more information about Chimu.